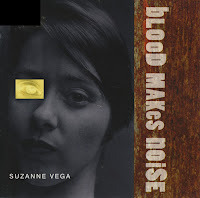 'Blood makes noise' is the third single taken from Suzanne Vega's 1992 album '99.9 F°'. While it only reached number 60 in the UK singles chart, it was the only single from the album to achieve some chart success in other countries as well. The single reached number 61 in Australia, number 42 in New Zealand and number 27 in Canada. The B-side was recorded live at the Paleo Festival in Nyon, Switzerland on July 26, 1991.